Susana Afonso holds a BA from the University of Porto, Portugal, an MA from the University of Southern Denmark and a PhD from the University of Manchester. After completing her BA she was a research assistant in the project Floresta Sintá(c)tica, a collaborative project between Linguateca and VISL. Ater her PhD, she took up a teaching position at the University of Sheffield and later at the University of Exeter, where she enhanced the presence of Portuguese in the Department of Modern Languages. In 2013, she was appointed Lecturer in Portuguese and she is currently the Programme Director for Portuguese. 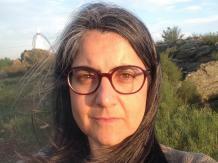 Susana's research interests are in language variation and change, varieties of Portuguese, language contact, language maintenance and shift in Lusophone immigrant communes, cognitive linguistics and construction grammar. Susana is currently researching on the development of Portuguese in East Timor as a potential emerging variety. She is a member of the Leverhulme funded international network "Shifting sociolinguistic realities in the nation of East Timor and its diasporas". She is also working on approaching language contact phenomena from a cognitive linguistics and constructionist perspective. In collaboration with Dr Francesco Goglia, Susana is also collecting data among the East Timorese communities in the UK to investigate language maintenance and shift. Susana teaches across a range of topics in Linguistics both specifically related to Portuguese: varieties of Portuguese, language policy, sociolinguistic variation, as well as more broadly related to general linguistics and cognitive linguistics: the relation between language, culture and the mind. I have also taught modules in Hispanic Linguistics.